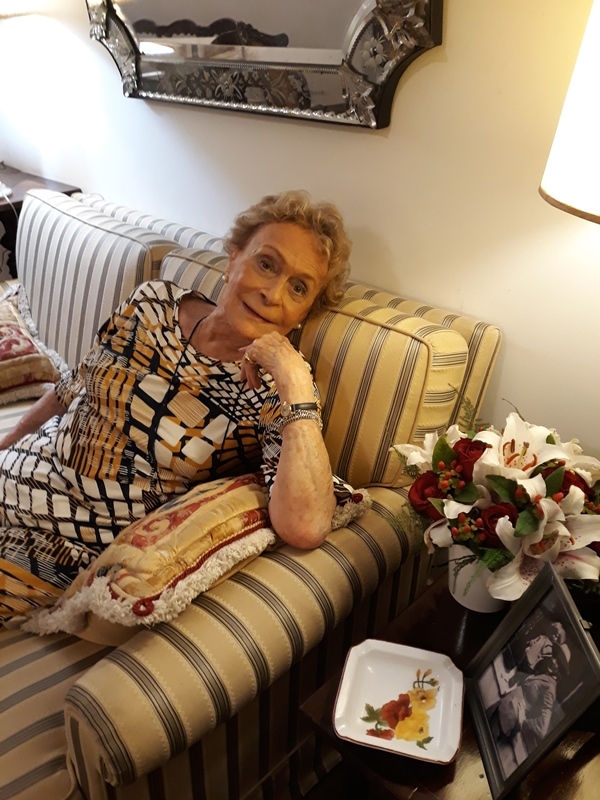 96-years-old Tatiana Leskova told the Russkiy Mir reporter about her first visit to the ancestry homeland, getting acquainted with Nikolai Leskov’s works, friendship with his Oryol museum, as well as Russian customs and traditions which she lives by in Brazil. The Russkiy Mir thanks the Association of Russian Culture of Rio de Janeiro and, in particular, Elena Serebryakova, its President, for assistance in organizing the interview. “Is one hour enough for our conversation? I have things to do after that,” says Tatiana rustling the pages of a notebook. At her 96, she leads an active life - she welcomes guests from Russia and other countries, consults the whole world on ballet issues through Skype. Her Russian is magnificent - remarkably correct and clear, without irrelevant fluency or swallowing of vowels, and with a subtle French tinge. Probably, characters of Leo Tolstoy and other Russian classics spoke in such a way. Tatiana Leskova was born in Paris to the family of Yuriy Leskov, a diplomat, a son of Andrey Leskov and a grandson of Nikolai Leskov. Andrei Nikolaevich was a writer, just as his father, and left wonderful memories of the author of The Enchanted Wanderer and The Cathedral Clergy, which became canonical. Tatiana Leskova did not get a chance to meet her famous ancestors - her great-grandfather died long before her birth, and her grandfather, having divorced his wife, did not emigrate and stayed in the Soviet Union after the revolution. Tatiana Leskova, 15y.o., Paris, 1938. 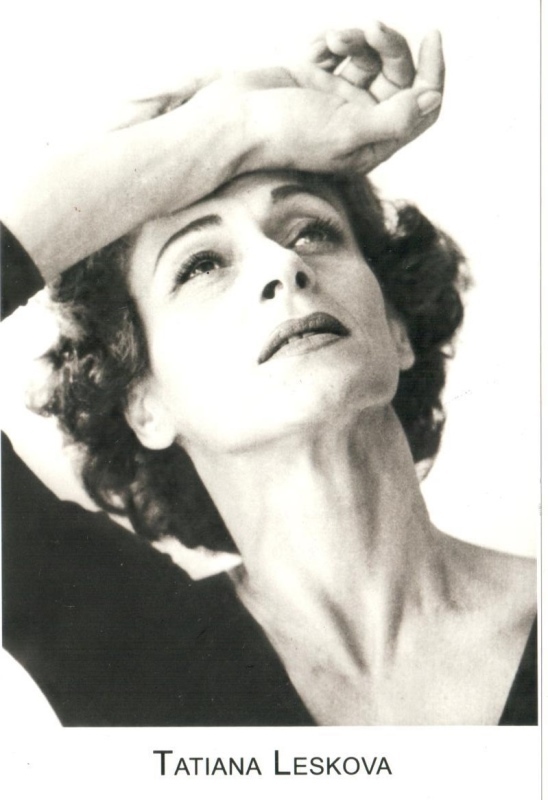 As early as at the age of 16, Tatiana danced on the stage of La Comédie Française and worked with outstanding choreographers of that time, mainly with Russian emigrants. Having proved herself to be one of the brightest European dancers of her generation, she toured half of the world under the stage name “Tanya”. During the Second World War, when political systems in countries used to change so quickly, passports became void, and contracts were canceled, Tatiana ended up in Brazil. She became the principal dancer of the Theatro Municipal in Rio de Janeiro. 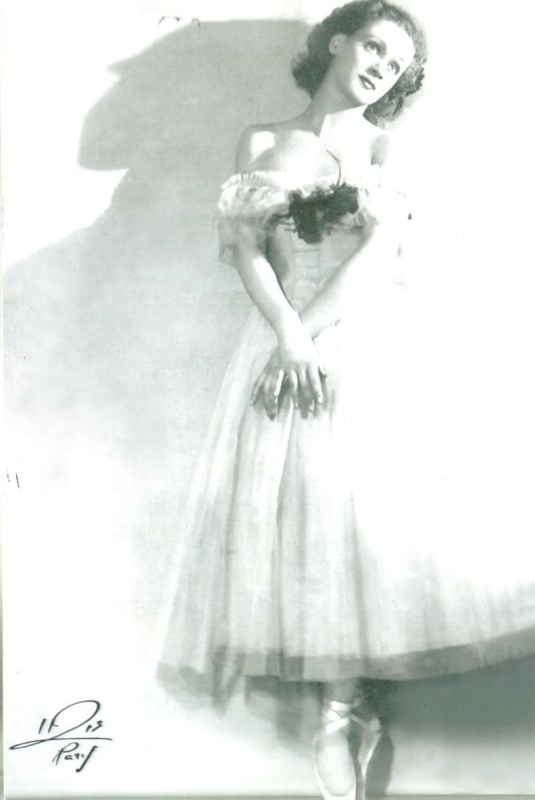 A few years later she headed the ballet company and opened a ballet school at the theater. So the Brazilian ballet was powerfully ingrafted with Russian and European classical ballet at the dawn of its inception. – You come from a famous Russian family, were born in Paris, live in Brazil. What country do you consider to be your homeland? – Of course, France. Homeland is the place where you grew up. I'm a Parisienne, like it or not. I remember years in Paris as very happy ones, although we lived very poorly and survived on pasta for weeks. But I was small, and such things didn’t not shock me at all. And then, being quite young, I began to work, and the ballet took over my whole life. But I did not dance for earnings or because someone forced me. I danced because I really loved it. I have been living in Brazil for over 70 years, but by nature I’m not a Brazilian at all. I am very much European. And when they asked me why I didn’t live in Russia, I answered - because I’m too Parisienne. – So why did you decide to stay in Brazil? – There were two reasons. First of all, I came here in 1944, at the height of the war. I had to work to send money to my family in Paris, and there was work here. At that time we did not know what was happening in France, what was happening with our dear ones, but we worked as best we could. Such uncertainty was a wrench. I found out about my father’s death only a year after he had died. The second reason was that I met a Brazilian man in Argentina; I fell in love with him, and he fell in love with me. – What does Russia mean for you? Is it a country from a family album? – it has varied In different periods. Of course, I have feelings for Russia, but mostly for old Russia, which I know from my grandmother’s stories. I have written about it in my book of memoirs. It was published in English, and I would very much like it to be read in Russia. While my grandmother was alive, I didn’t even think that someday I could go to Russia. We lost the whole family in those terrible events – my grandmother lost two sons, and she was arrested, and then fled the country, and my father lost his brother. And many of our relatives suffered the same fate. My grandmother could not forgive the Soviet regime for that. Going to Russia while my grandmother was still alive would have meant betraying her to some extent. It was not an option for me. But fortunately the visit did happen and not once. – Please tell us about the first visit to the Soviet Union. – It happened unexpectedly in 1985. Before that, I was in Cuba for the contest and Olga Lepeshinskaya was sitting next to me (the Bolshoi’s prima ballerina - author). And I used to wear my father's rings, which he got during his studies at the Lyceum - one of them had the Emperor’s name inscribed. Olga Lepeshinskaya asked me if I had ever been in the Soviet Union. I said no, they wouldn't allow me to enter. The Nikolai Leskov Museum (the writer's house-museum in Oryol - ed.) invited me in the late 1970s, but I was not granted a visa. Lepeshinskaya said: "Do not worry, I will arrange a visa for you." So I went to an international contest in Moscow. I requested the visa to include a trip to Leningrad, which my family’s history was connected with and where I especially wanted to go. And everything worked out. – Have you preserved any Russian habits and traditions? – Yes, I have preserved all traditions without exceptions. First of all, I go to the Orthodox Church at least once a month. In such a way I meet Russian people and speak Russian. I take communion, bake Easter cakes for Easter. I love Russian cuisine and Russian music. I love Russian choir in church. What can I say? I'm Russian, a Russian emigrant. Do you know that I was baptized by Maria Feodorovna, the mother of Nicholas II? My maternal grandmother was a maid of honor; and my grandfather, Baron Medem, was an adjutant of Alexander III. So they had the right to ask the Empress to baptize their first granddaughter or grandson. Maria Feodorovna herself did not come to the baptism, but she sent a representative who baptized me on her behalf. I have confirmation documents on the wall in my room. – When did you manage to visit Oryol? – What is your communication about? – This friendship means a lot for me. I have visited Oryol many times. When I was touring the world with performances of restored ballets by Leonid Myasin, I earned a lot of money. And part of it I used to send to the museum. I have bequeathed all my property in Brazil to the museum. – Who told you about Nikolai Leskov? – My grandmother Leskova, the wife of Nikolai Semenovich’s only son. She told as much as she was able to before I left home to work. That time I was not even 16 years old yet. I knew that he had been a great writer, but I could not realize the level of Nikolai Leskov’s personality until I came Russia. 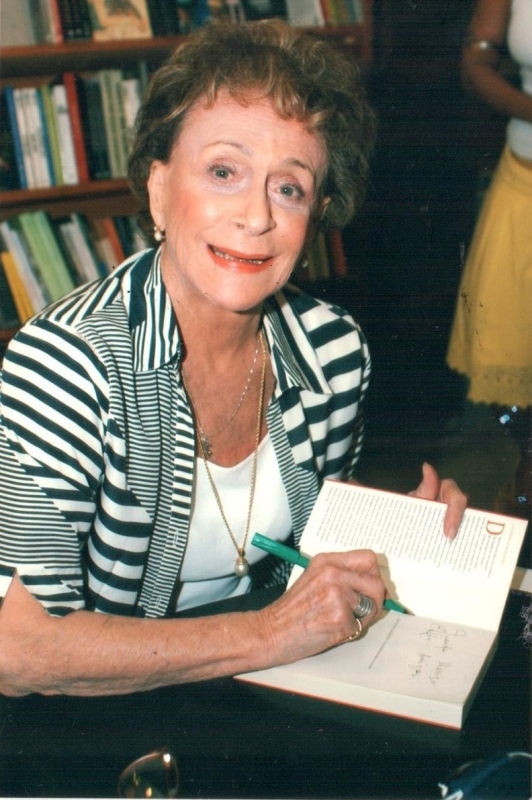 When in 1985 I said in the tourist bus that I was Leskov's great-granddaughter, people approached me for autographs. – What works of your great-grandfather do you like most? – I read more of Leskov’s works now. There was no time before. During my first visit to Moscow, I gave an interview and the journalist named it The Enchanted Wanderess. Of course, I like the Enchanted Wanderer and The Cathedral Clergy, as well as all his best works. I read At Daggers Drawn, but this is a rather difficult novel. And I was absolutely fascinated by a little story about a musician who fell in love with a ballerina. Unfortunately, I do not remember the name of this story. It really touched me; I felt some kind of closeness.